PLOT: After seven generations have lived and died aboard a massive generation ship heading towards a distant star, they are finally about to arrive. The reader is introduced to the main character, a member of the current generation who will be involved with colonizing the new planet, named Freya who is only a little girl. But as the story progresses the reader see Freya become a teenager, young adult, adult, mature adult, then old woman. And Freya is not the narrator of the novel, the artificial intelligence that controls the ship is, which makes for a very emotionless narrative. There was an entire chapter where the A.I. learned what metaphors were, then from that chapter on it spoke in metaphors. Then it learned love, analogies, consciousness, awareness, how humans think, etc. And after each discovery, it tells the story differently taking into account all the things it’s learned. Though an incredible concept, that dry narration for most of the novel makes everything seem distant and less important. SETTING: Boy, does Robinson do his research about space. I feel as if Robinson has been out among the stars many times in order to describe them so succinctly and accurately. He brought to life a ship bigger than anything humans have built today, and made it seem so manageable. 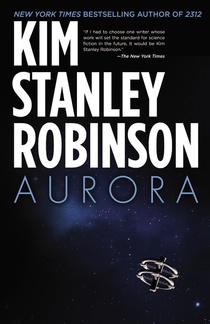 From each separate biome aboard the ship, to the planet of Aurora and the alien-like Earth, Robinson did a pragmatic and effective job of showing the reader what space is like and relating the awe and respect that he has for it to us. Although, because his descriptions are told through a robotic voice, they seem more analytical than literary. Facts more than descriptions. 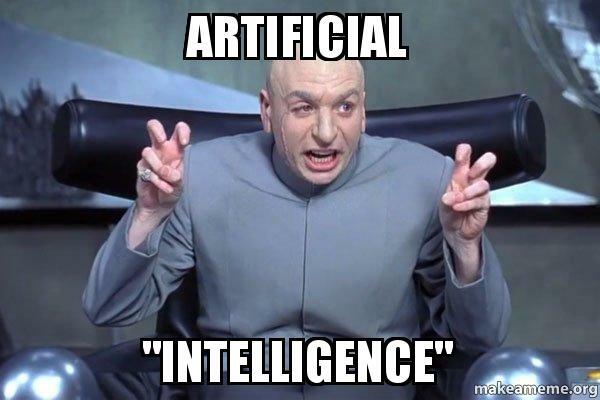 The more I run into the A.I. narrator the more I dislike it. CHARACTERS: Anyone who can develop an artificial intelligence the way Robinson does, taking something that is emotionless and introducing it to life and chaos and love and prose and literature to get something with a personality is a truly interesting thing to be a part of as a reader. But Robinson also does an excellent job of bringing to life Freya, her friends and family, and lots of unique individuals aboard the ship as well. Each character stands unique on their own and added something to the population of the ship. Plus he did a fantastic job of showing the stress that comes with living inside a closed space for your entire life as it moves 1/10th the speed of light across the galaxy. Space travel ain’t nothing to shake a stick at. VERDICT: Here’s the thing, though this book is interesting, intriguing, educational in many ways, it’s also pretty high on the reading scale. The vocabulary is high brow, the sentence structure on average is extensively long, the pace is quite slow, and the text is crammed down the reader’s throat. I do not recommend this book to anyone who isn’t a well educated, well read individual. I pushed myself through lots of this book because there was so little emotion involved, the conflict didn’t show up until late in the story, and there was so much explaining. But the concepts and ideas Robinson writes about were what fueled me through it. Though it the book was well received by critics, it didn’t sell well at all and I don’t see many people enjoying the read. Just my opinion. But you can read it and prove me wrong if you like.